SuperFly RC! Durable Electrics Made Easy! SuperFly RC was founded in 2002 and has since developed many planes including the SuperFly and HyperFlea. Our delta wings are durable alternatives to built up or even regular foam planes. Speeds range from ultra-slow to fast with unlimited vertical power! Our planes are made from CNC cut high quality EPP foam right here in the USA. If it's not high quality EPP and it's not cut in the USA, it's not a SuperFly RC product. SuperFly RC planes are constructed almost entirely out of Expanded Polypropylene foam (EPP) with no internal spars or covering. The majority of EPP in today's market is used in automobile bumpers. That should tell you just how tough it really is. Unlike conventional foam, EPP can be bent, biten, folded, stepped on, twisted, and mistreated in general and it will return to its normal shape. EPP can break but it is easy to repair with Hot Glue. 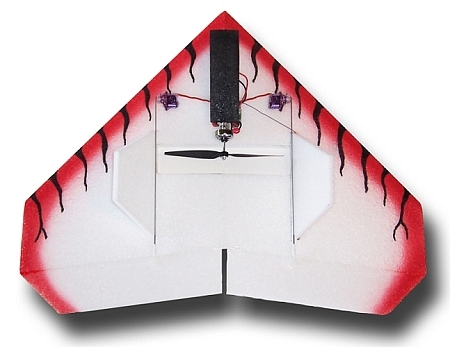 Try a SuperFly RC Plane TODAY! Thank you for shopping SuperFly RC!